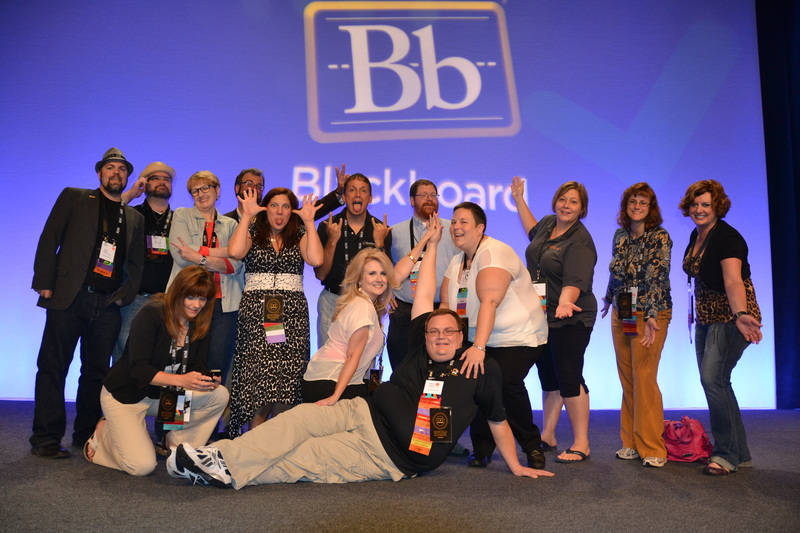 My recent trip to Vegas wasn’t for gambling and to watch the Blue Man Group but to be a VIP Blogger at Blackboard World 2013. 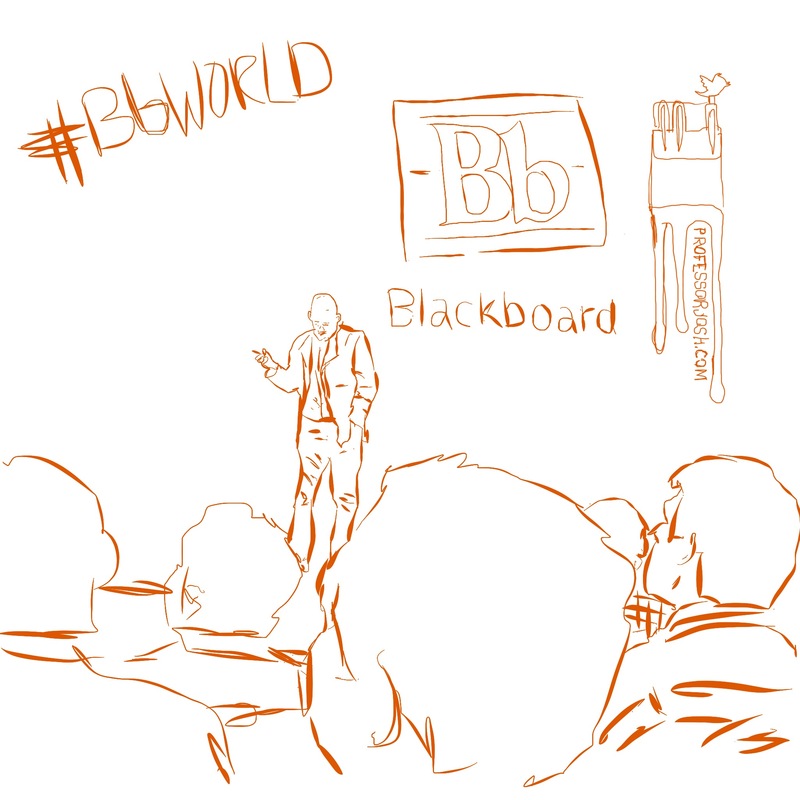 This will be a recount of BbWorld13 in a nutshell (including all the recap videos by Blackboard). 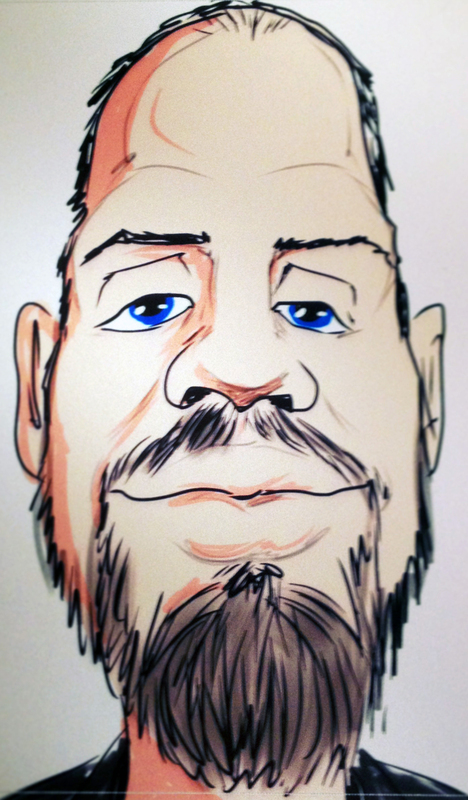 After a long day of traveling it was time to get settled into the Palazzo and checked into BbWorld13. Checking into the conference as a VIP Blogger, I received a few extras including a BbWorld Blogger t-shirt and my VIP Blogger badge (almost felt like a rockstar). As a VIP Blogger we had a few minutes prior to the doors opening to talk with keynote Clay Shirky but it went by very quickly with everyone grabbing photos. 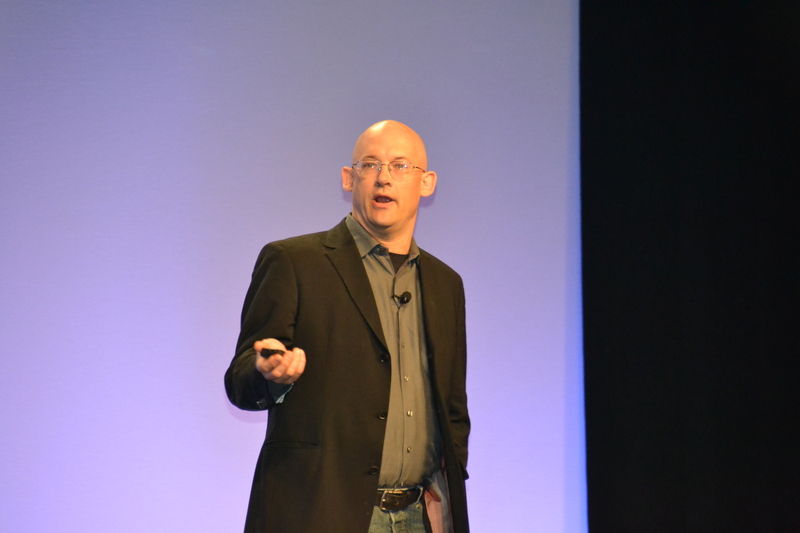 Best-selling author of “Here Comes Everybody” and fellow educator, Clay Shirky opened BbWorld 2013 with some great thoughts. (Watch Now) It’s amazing to think it took 100 million hours to create Wikipedia but in the US alone, we watch over 200 billion hours of television a year. Image we could do with that time. 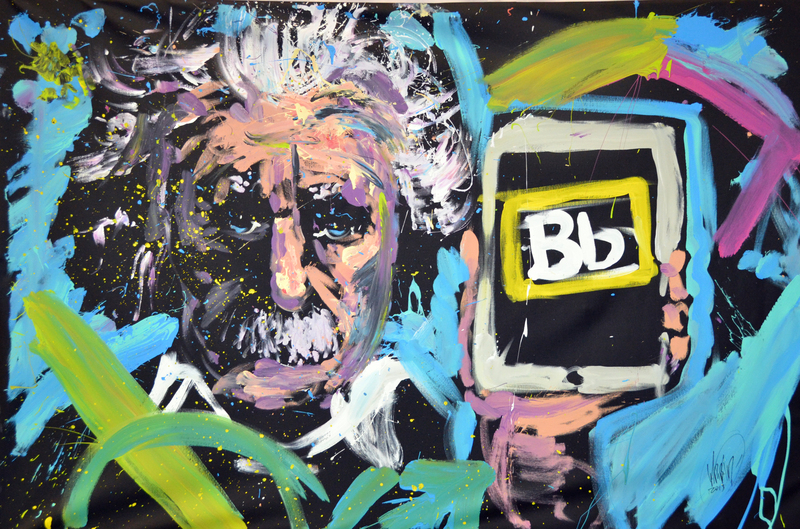 New forms of media are helping to share media, information, and ideas at lightning speeds across the globe. This isn’t just to create memes of grumpy cats but to share field notes over Instagram to the public. http://news.rapgenius.com/ From the creators of http://rapgenius.com/ but geared to breaking down the news instead of rap lyrics. After the keynote, it was time for the doors to open to the exhibit hall and enjoy the opening reception with fellow Blackboarders from around the world. It was great to run into a few online tweeps for the first time. Lots of various vendors and Blackboard departments were in full force to help answer questions and show of their latest products. 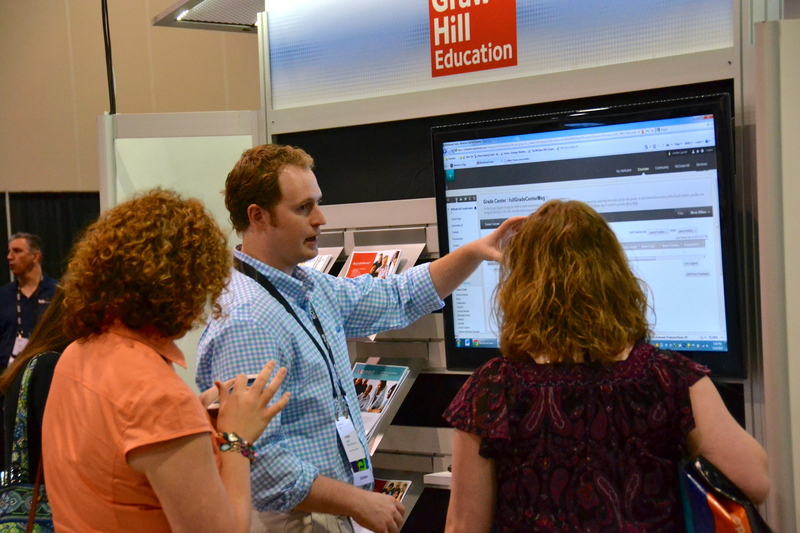 Both exploring the vendors and meeting fellow Blackboard clients are great ways to learn about what other institutions are doing. Our institution had a few meetings setup with various departments at Blackboard to discussion the future of Blackboard (including a preview of the road map) and to talk about product testing, bugs, service, and fixes. 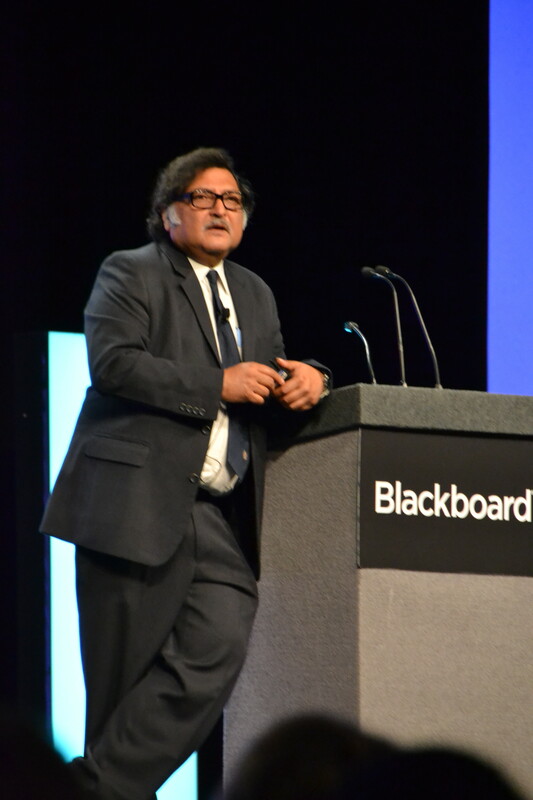 Lots of different sessions happened on various topics from pedagogy to technical aspects of Blackboard. 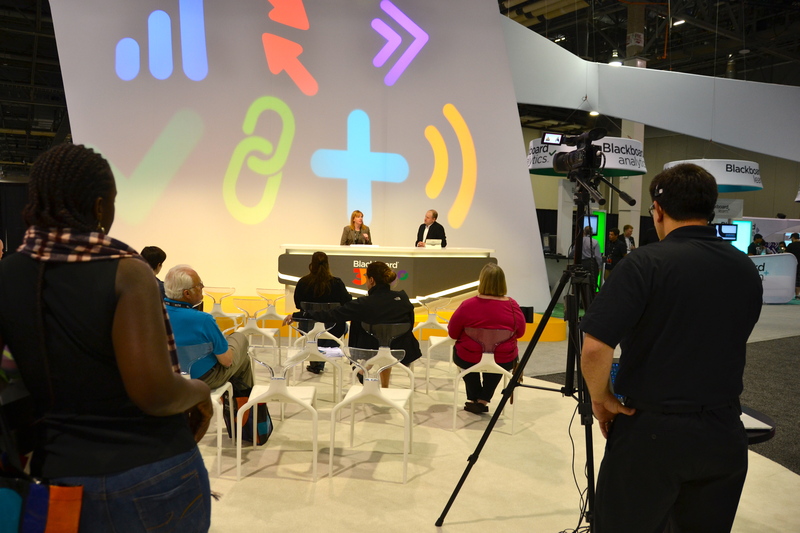 Many of these sessions will be posted online in the near future, thanks to the sponsor Echo 360. Improvements to SafeAssign, including making it an option in assignments. T!P TXT, anti-bullying texting program available to K12 institutions for free. 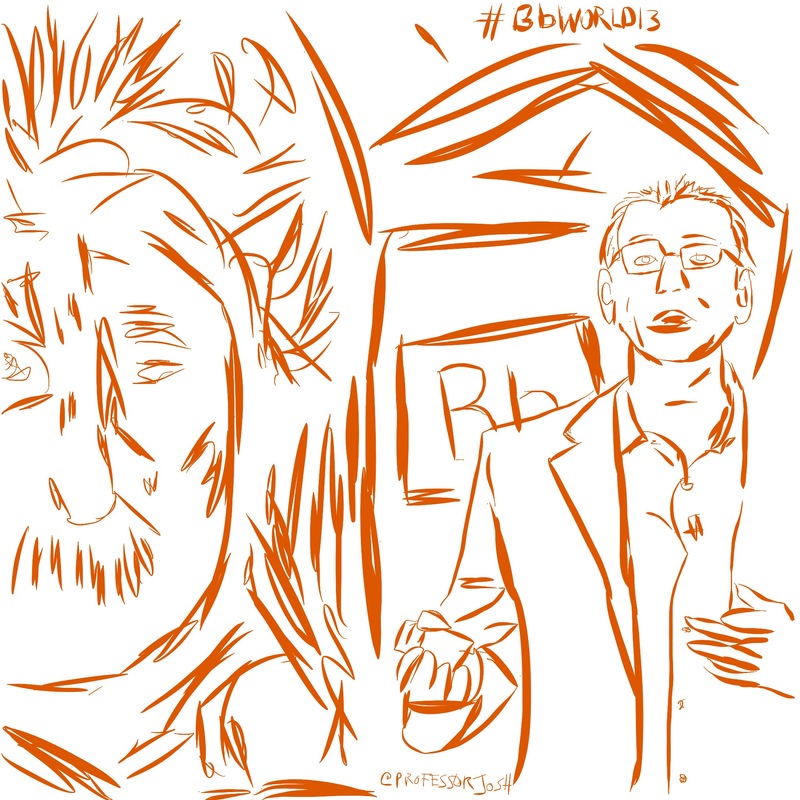 In the evening Blackboard hosted a reception for all the BbWorld13 bloggers, including food, drink, “speed dating” with various Blackboard people, and a chance to get our own character drawn. At this event, since all the blogger were sitting together at the keynotes, it was easy to meet some of the people you have been talking to online, in real life. It’s always great to reinforce those conversations and friendships. I’m glad we got to take a group picture after the final keynote (this was the funny picture by the way). 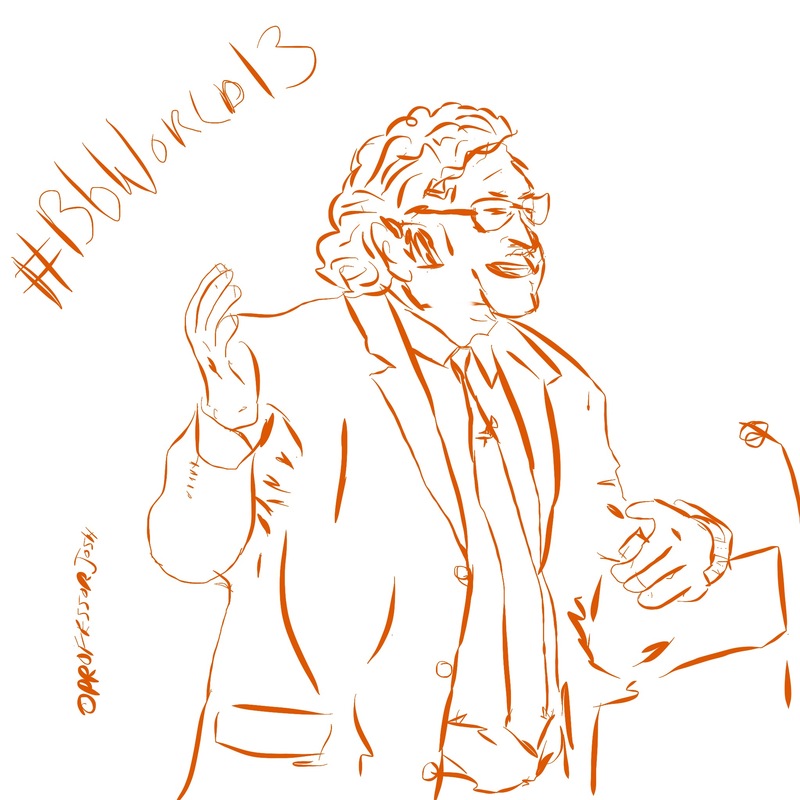 Make sure to check out #BbWorld13 on Twitter for lots of great educators and edtech enthusiast to follow. 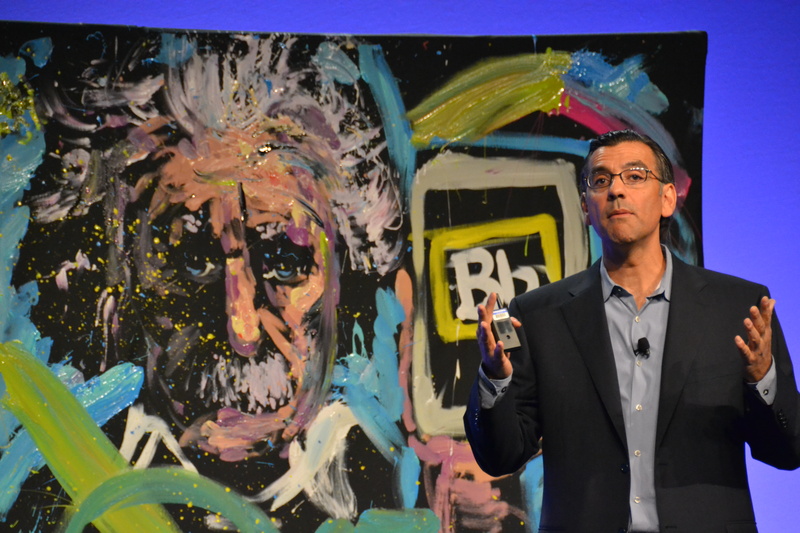 Melissa Stange @certtechpro blog http://btstwm.blogspot.com/ has lots of great tips and recaps from BbWorld13 too. The day rounded out with several other rounds of presentations, including some great ideas and insights from several Catalyst award winners on course design and tricks of the trade. Most of the keys were well designed navigation, clear objectives, interactive course material, and a passion for teaching online. Check out the various Exemplary Course awards, with many of them having guide tours of their courses. To wrap up the night, it was time for the Customer Appreciation Party in the ballroom with a 80’s theme (surprised they didn’t mention it prior for people to dress up in 80’s gear). This included a great 80’s cover band, tons of food, lots of 80’s trinkets and arcade games. Hopefully you stopped by the photo booth for some fun photos to take home (Yes, I’m wearing my Google Glass in the photos).